Trading a car every year rarely makes financial sense. 2. Can I Deduct New Car Sales Tax If It's Financed? 3. When Is Best Time to Buy a New Car? There's nothing like that new car smell, nor the peace of mind that comes with knowing you're driving a car with low mileage and years left on the warranty. No wonder, then, that it's tempting to want to trade a car every year for a new one. Before you make the decision to do a yearly swap, however, consider how you paid for the car you have and how you'll pay for the one you want –trading a car every year for a new one only makes sense if you won't end up in financial hot water. If you paid cash for the car you're driving now, and don't have another car payment, then there's no reason not to trade your car for a new one every year – provided, that is, that you can afford to pay cash for each subsequent car purchase. Paying cash for a car means avoiding the finance charges that come with car loans, and gives you much more flexibility when it comes to trading cars. When you consider that the average car loan has a 4.96 percent interest rate and a term of 69.3 months, trading a car you've financed in every year makes little financial sense. In one year of making payments on your car loan, you've likely barely a dent in the interest charges, if that, meaning you're still on the hook for the value of the car. Considering that cars depreciate 15 to 20 percent in the first year of ownership, you're likely still upside-down in your car loan, meaning you owe more on the car than it's worth. Provided you can get approved for another auto loan, you'll merely roll the loan on the existing car over into the loan on the new car, which will, essentially, mean having two car loans but only one car. Car leases are often touted as the best route for drivers who like to trade cars often. However, that assumes that you plan to keep the car at least three years. 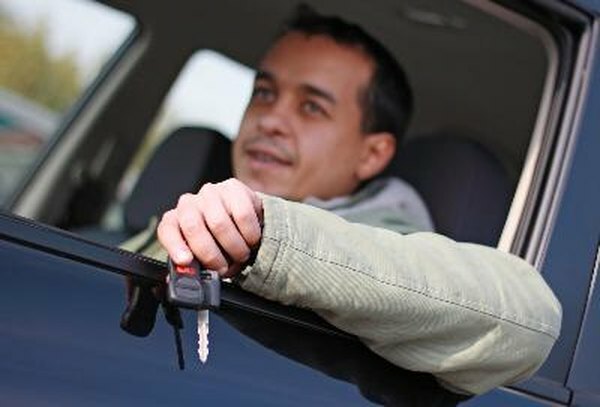 Trading a leased car in before the lease term is up often means paying hefty early-termination fees, which will be added on to the lease terms for the new leased car you're buying, making your payment higher. If you're still sold on the concept of having a new car every year, trading may not be your best option when it comes to getting rid of the old car. When you trade a car at a dealership, the dealer naturally wants to make money on your trade-in. The amount the dealer is willing to give you for the car is, therefore, less than what you'd get from selling the car yourself. Credit.org: When Should You Sell or Trade in Your Car?